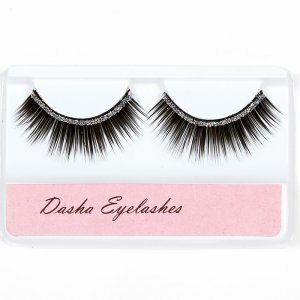 Create a dramatic look with Dasha's easy to apply reusable eyelashes. These are adorned with a striking band of silver glitter making them perfect for performances and groups. Each style of eyelashes comes with 1cc of eyelash adhesive.